Marsha Levy was born in Tampa, Florida and has been a resident of Broward County for over fifty years. She attended the University of Georgia and received her Bachelors and Masters degrees in Special Education from Florida Atlantic University. She was employed for many years in the Broward County school system, and then worked privately specializing in learning disabilities remediation. Marsha has always been a passionate advocate for quality education and environmental improvement. Her interest has led to the development of programs which are being implemented today in Broward County. 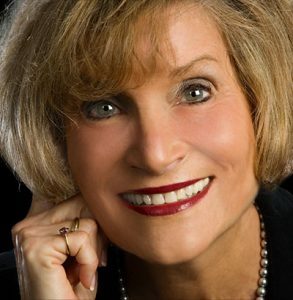 Her community and statewide service has included her commitment to HANDY (Helping Abused Neglected Dependent Youth), the 17th Circuit Guardian ad Litem Program, Broward College Foundation Board, State of Florida Highway Beautification Council, State of Florida Board of Bar Examiners (Emeritus member), and Greening Gateways (Chair). She is married to Alan Levy, and they have two children, Eric Levy and Hope Levy Mendelsohn. She is a very proud grandmother of twins, Hannah and Benjamin Mendelsohn. Marsha Levy was recently appointed to serve on the Board of Debbie’s Dream Foundation, and she was honored to become a member of this extraordinary organization. Marsha has known Debbie Zelman since she was a child, and wants to help see a cure for stomach cancer, which Debbie has been fighting for more than six years. Debbie and her loving family are an inspiration to everyone who believes in the power of the human spirit to create positive changes for the future.